I had every intention of posting yesterday but I'll be honest, I felt like crap on Christmas eve and slept all afternoon and Christmas day was just too busy and hectic. But I hope you can forgive me. I can't believe Christmas is over already. All that fuss for one day and all you get is a food baby (which I am always proud of) but my empty bank account isn't something I want to think about, ever. Anyway, onto my favourites from the week. 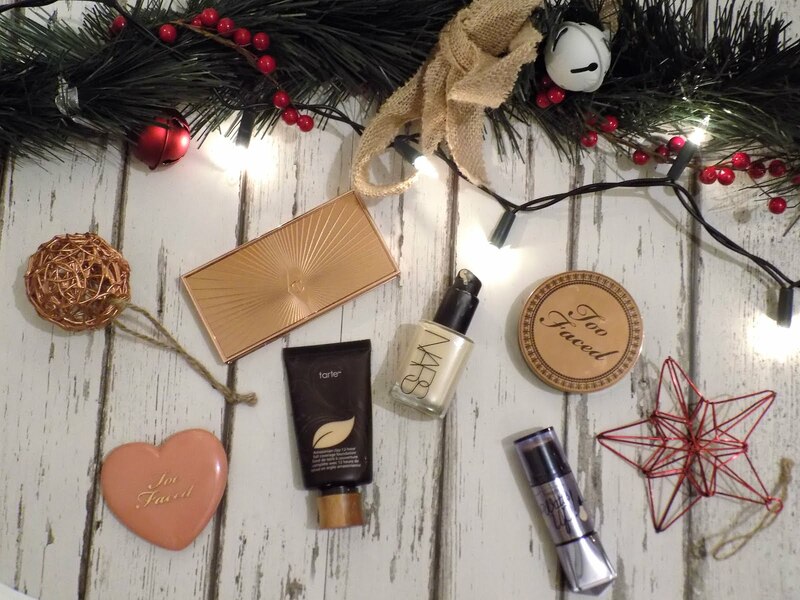 First up with makeup is a foundation combo that I have been loving, the Tarte Amazonian Clay Full Coverage Foundation mixed with NARS Sheer Glow is a combo you don't think would work but surprisingly, they do and they look amazing. I dug out the Benefit Watts Up Highlighter this week after seeing Fleur from Fleur De Force use it in her makeup tutorial (which was also a fave below). She recommends to run your finger over it to warm it up a little and then dab it on with your fingers and then I go over it with a Beauty Blender to make sure it's all blended in properly. 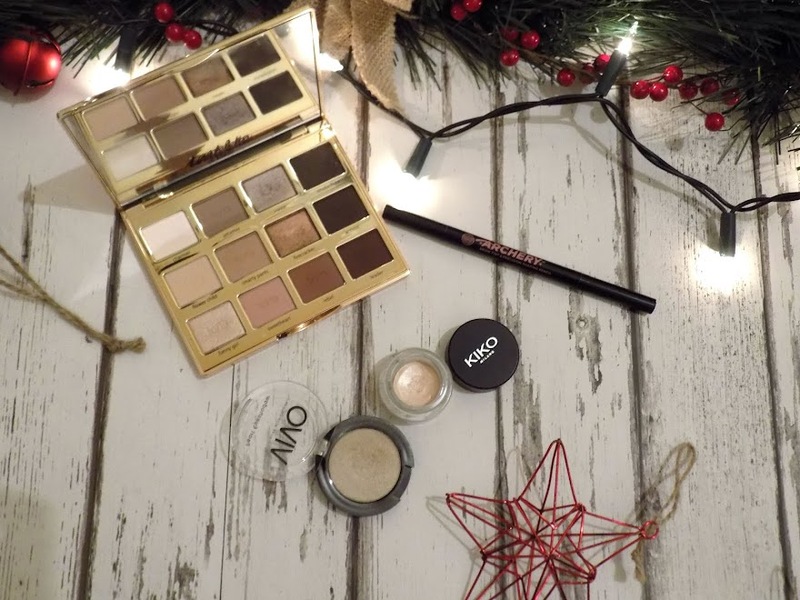 This looks so beautiful on the cheeks and I love layering creams and powder highlights to really give that festive glow. Alright for my contour and highlight this week, the Charlotte Tilbury Bronze & Glow has been my go-to. The highlight is a perfect shade of champagne gold and goes perfectly with the eyeshadow. I have been packing on the Too Faced Milk Chocolate Soleil Bronzer this week as I have just felt way to pasty white. I love everything about this bronzer and it's by far the best ever. I love Too Faced as a brand and the Love Flush Blush in Baby Love is the prettiest blush ever. I love how it looks with the eye look I've been wearing (see below) and it's just so beautiful on the complexion. I've been loving an eyeshadow combo too, I start with the Kiko Cream Shadow in 01 which is such a beautiful champagne base which really brightens up the eye which I am all about as my late/sleepless nights are coming in fast and so I need all the help I can get. I have been putting the VIVO Gold Pearl Shadow in Pale Gold which is so beautiful and is more of a dusty champagne gold than a true yellow gold. But I love it and how it looks on my eyes. I have still been obsessed with the shade leader from the Tarte Tartelette In Bloom Palette, and this looks great on the outer corner and lower lash line and is the makeup I wore on Christmas day. This palette is just the best and I cannot help but wear it every single day. I have rediscovered the Soap & Glory Archery Brow Marker which I have been obsessed with how it makes my brows look. I love the natural yet defined look it gives and think it's even better than my beloved Archery Brow Pencil. 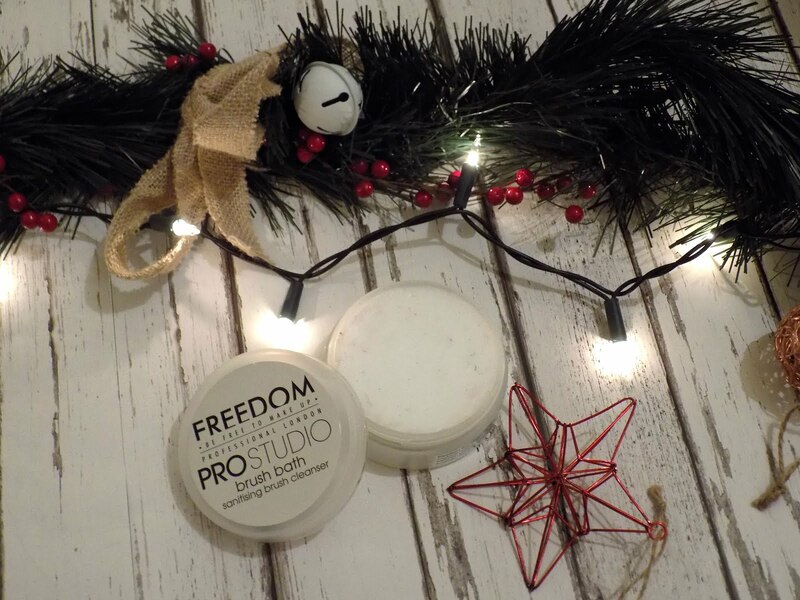 I've been testing out the Freedom Brush Cleanser for the last couple of weeks and I think it's awesome and even better than the Beauty Blender Solid Cleanser which I have used ever since I discovered the Beauty Blender. 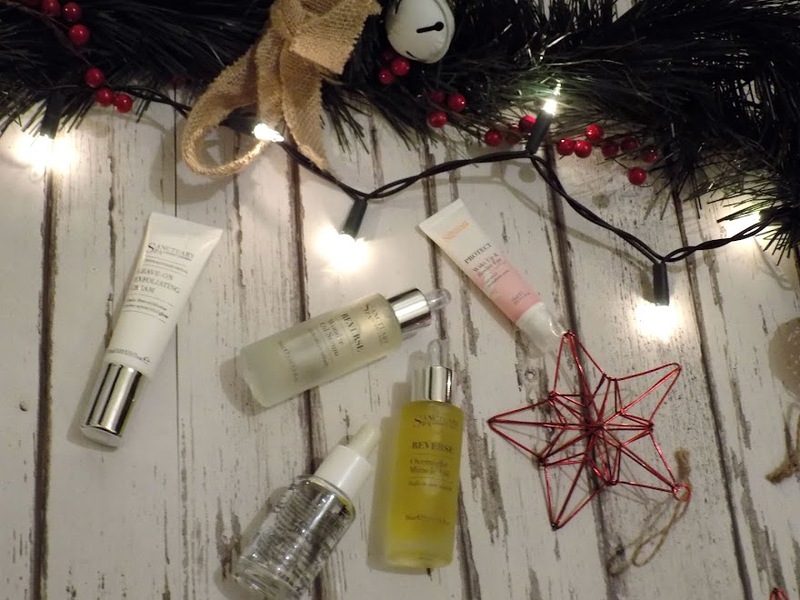 Now for skincare and as you may have been aware, I have been on a bit of a skincare binge this month and I've been trying out some new products this week. 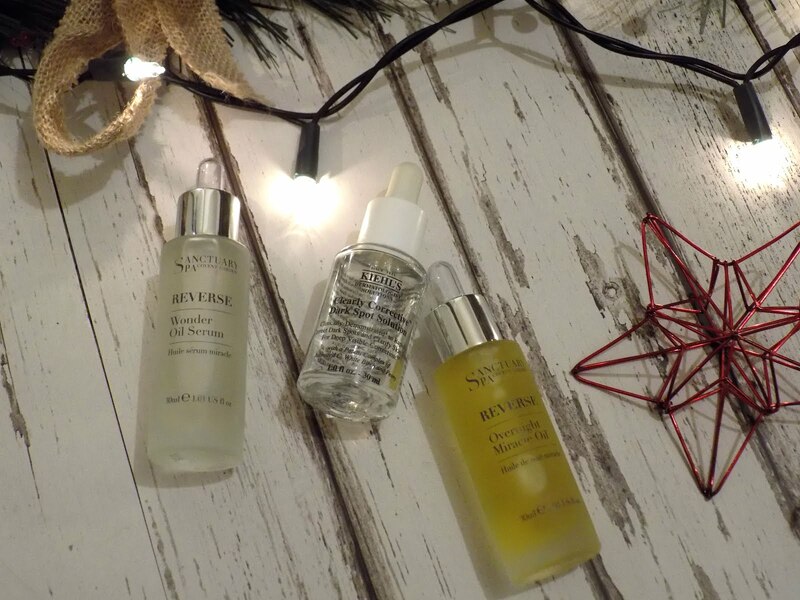 First is the Sanctuary Spa Reverse Wonder Oil Serum which you have to shake and it creates this incredible texture which softens and hydrates and smooths and is just amazing. I've been mixing it with the Kiehls Dark Spot Correcting Serum to make a little serum concoction. I've been trying out the Reverse Overnight Miracle Oil which doesn't smell the best but it makes my skin feel super soft and smooth and in the morning it looks plump and hydrated. 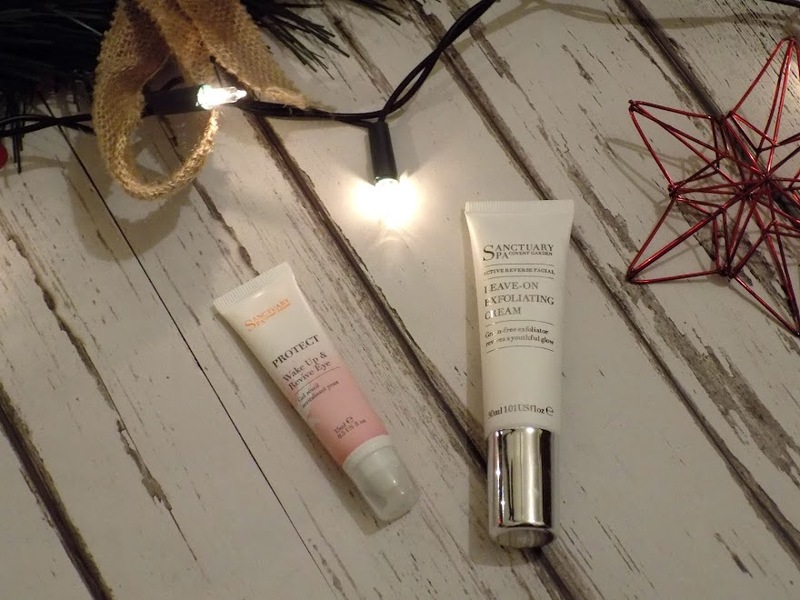 I have also been using the Wake Up Wonder Eye Cream which I have been using in the morning and it's more of a balm texture, not particularly cooling but it certainly hydrates. The Leave On Exfoliating Cream has been another product I've been trying out for about two weeks and although it says to apply it in the morning, I apply it at night after my serum and a bit of oil and it works great too. 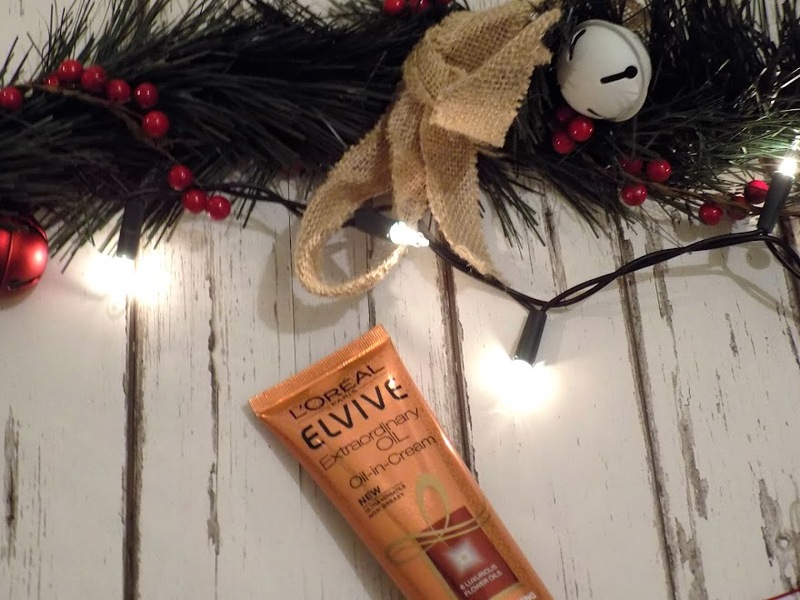 I've been obsessed with this L'Oreal Elvive Oil-in-Cream as it is super nourishing for my hair and makes it so soft and silky, great for my dry/damaged hair and I am really impressed by how amazing this works and you barely need any. I've tried some of the New Look Pure Gel Polish which are really affordable at £3.99, and come in some great colours. I of course picked up the raspberry, pink shade and the top coat isn't that bad either. I'll be honest, they chipped within a couple of days, but that was whilst unwrapping gifts, but nevermind, the colour is great. 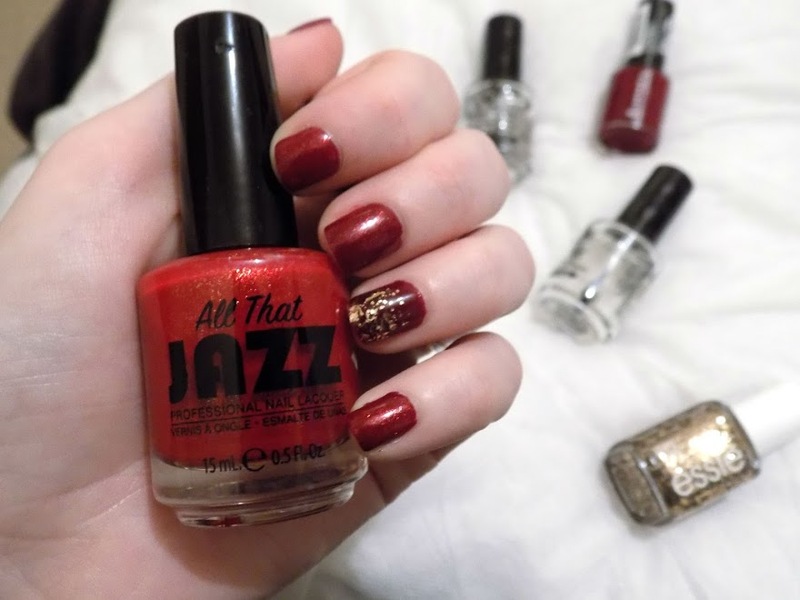 You would have seen this in my Christmas Nails post but this is the All That Jazz Polish Jemimas - Don't Step On My Red Bottoms and that's over the top of the Rimmel Nail Polish in In's The Cherry On Top which gives a darker red shade rather than the traditional bright pillar box red. I love how it looks and think it's Christmas in a nail polish. 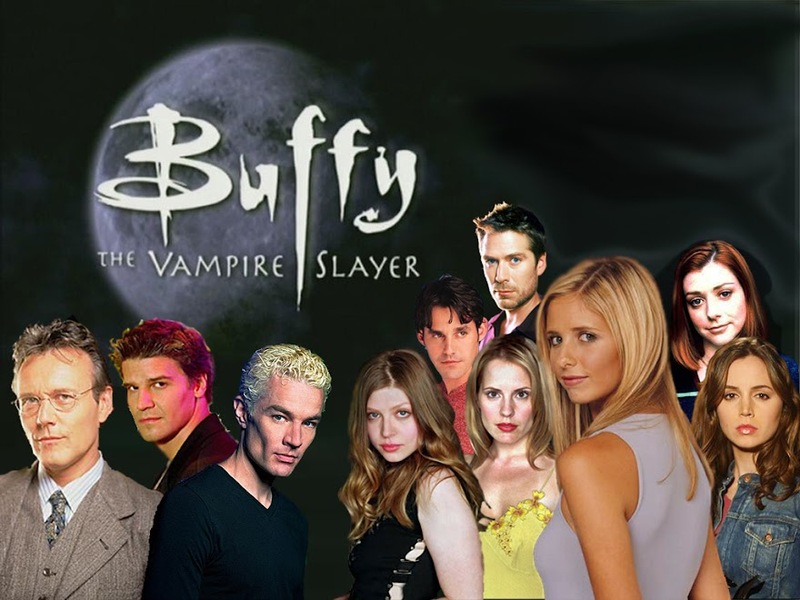 I have been loving Buffy the Vampire Slayer this week. I started at season one and it's just got me hooked. Old school TV classics are awesome. 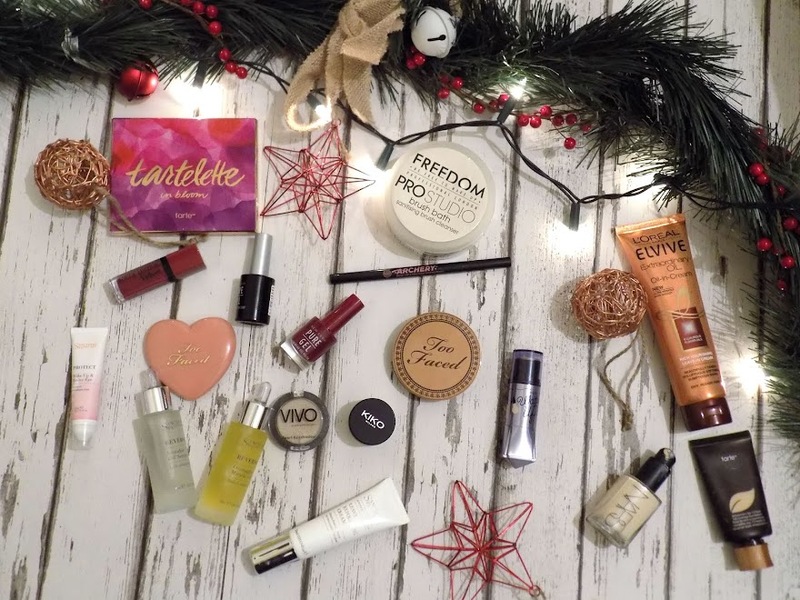 I thought I would include this in from last years Get Ready With Me for Christmas. 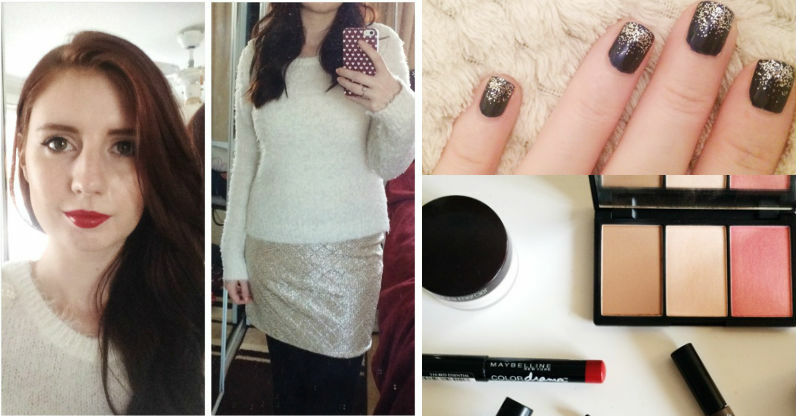 I still have these clothing items and I love the makeup and mani too. That's it for today's faves. 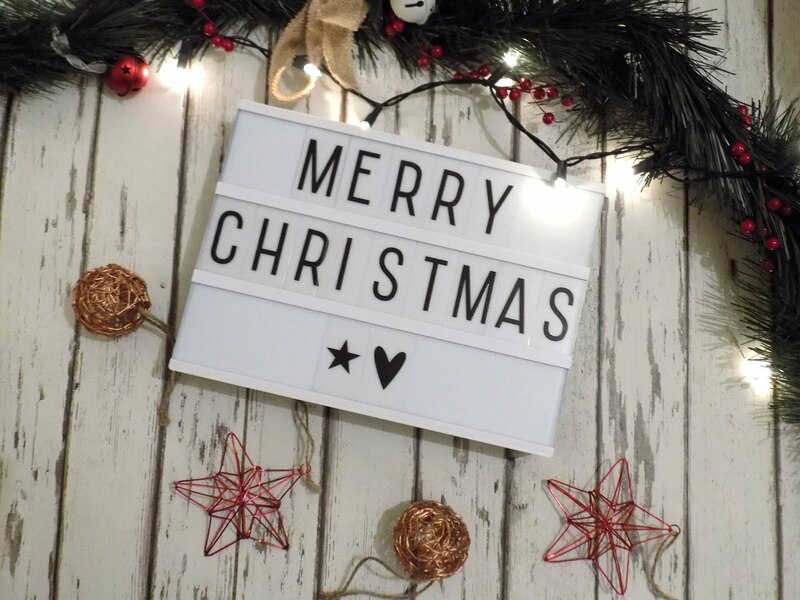 I hope you all have an amazing Boxing Day and if you find any good sales then I would love to know where I should check out and what you picked up. What are your traditions for Christmas and Boxing Day?